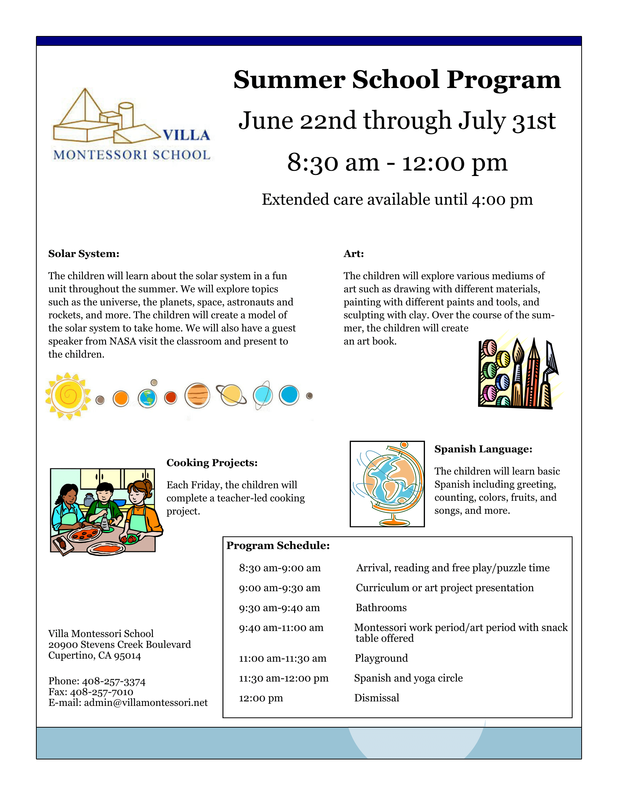 Villa's summer school program will be held from June 22, 2015 till July 31, 2015. Enrollment is on a first come, first serve basis. Current and new students (who meet minimum age) are eligible to attend. Reserve your child's space today!